Here at Dipingo Design we are always trying out new ideas – some we develop into card collections and some we file in our ‘future projects’ drawer. Often we end up creating a design that we would like to use ourselves but can’t find ‘out there’. 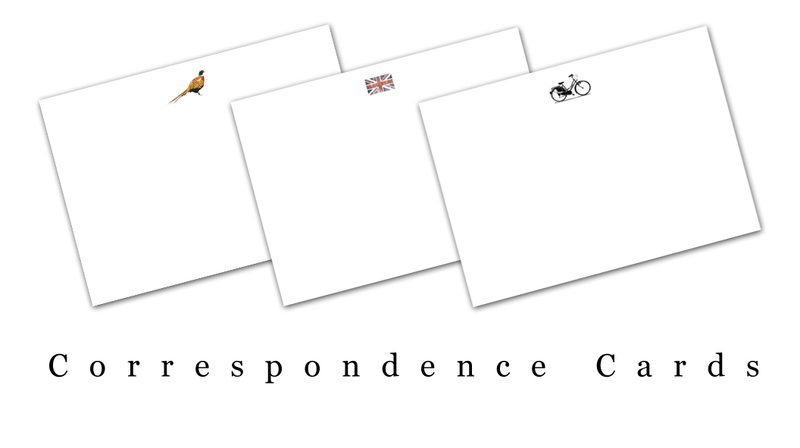 Our latest product is just such a thing, small but perfectly formed Correspondence Cards. These are 6″ x 4″ (postcards size) white cards with a small motif on one side – perfect for a quick “thank you” or a simple note. We have created 30 designs initially, using popular Dipingo images, but are planning to add many more to the range in the future. So far in tests these little gems have been enthusiastically received and so we are excited to be taking them to Top Drawer in January. There are 10 cards in each pack with a classic white envelope to match. Here is an idea of what they look like. We hope to have the complete collection on the website before the new year. Watch this space….